by Robert S. Newport, Jr. There has been a lot of talk lately that minorities have been pretty much shut out of Hollywood, especially the Academy Awards. It has really been obvious that most movies that are the big bread and butter for the industry have been lacking of a presence of African American, Hispanic, Native American, and Asian actors, stories, and awards. The African American community has been the forefront on this issue, they have the most organized voice and the biggest muscle in the press to get noticed, and recent talk shows, entertainment shows, and web sites have started to discuss this. There is a wide variety of opinion on this issue. 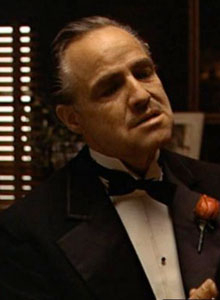 Some members of the Academy claim that they choose the best actors and movies for awards, and those who are not chosen are just sore losers. Others, mostly African Americans have claimed that there is a deeper, structural problem at work. Taking an overall view, this certainly would seem to be the case. American audiences seem to be so self-involved and arrogant that foreign films, for instance, that have many different ethnic actors, stories, directors, and producers are largely ignored. This leads to the question, which comes first, the chicken or the egg, meaning which comes first, the appreciative audience or the massive exposure of these films to develop an audience. Cable and Public Television could be a big help. There are also, no doubt, many films made right here in the United States that are not considered for one reason or the other, really low budget art films for instance, that might have more exposure to minority participation. It really seems that the entire Hollywood system is weighted to continuing to churn out films directed toward a young box-office market, and reflecting in its majority of presentations only a white perspective. 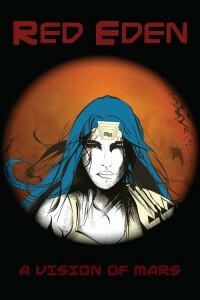 Over the Christmas holidays an unusual graphic novel was published that featured Native Americans. The story, called “Red Eden” looks into the future and postulates that the Native Americans levereged their casino revenue and became technologically proficient and got to the planet Mars, which they “terraformed” into a paradise. Every thing was going well for a while, but back down on earth, which had become polluted, corrupted, and suffering governmental collapse, a group of thugs and criminals escaped the dying planet and headed for Mars, to take the paradise away from the courageous Native Americans now living there. The story follows a young Indian woman who is coming of age during all this chaos. Will history repeat itself? Or will the Native Americans fight off an invasion of thugs and continue to live on their peaceful planet? That’s the story line for a ground-breaking graphic novel that explores a lot of the past issues and gives attention to the past treatment of Native Americans in the United States. The question is how serious is the chance of a major studio picking up this story, and in fact does any production company have the guts to do a project like this? One of the writers on the book, Greg Simay, claims that it is appealing to a young female audience as equally as it appeals to a young male audience, which is important to filmmakers who are always trying to target their biggest box office supporters. The story is somewhat controversial in many ways, but since it is science fiction, it has a chance to break through the Hollywood establishment that has ignored the real story of the American Indians and given such shoddy, disrespectful treatment of them that watching some of the old “cowboy and indian” films today is painful for many folks. Marlon Brando’s 1973 speech seems more true today. Hollywood has sporadically done the right thing and brought up social and racial issues, especially for African Americans, but it has not been an across the board effort. Author – publisher Simay says that he has had some interest from Hollywood, but nothing firm. It’s beyond past time for Hollywood to put its magic into telling great stories about everyone, including Native Americans and certainly African Americans. One of the films up for an award is The Martian, about the rescue of one, lone white dude on a failed Martian exploration. Much more dramatic would be the fate of an entire Civilization on Mars, especially if it were Native American. There is great talent in the Native American and African communities that are waiting to be tapped. Is Hollywood up to the task? The Oscars are almost upon us, and this is a controversy that is not going to disappear. 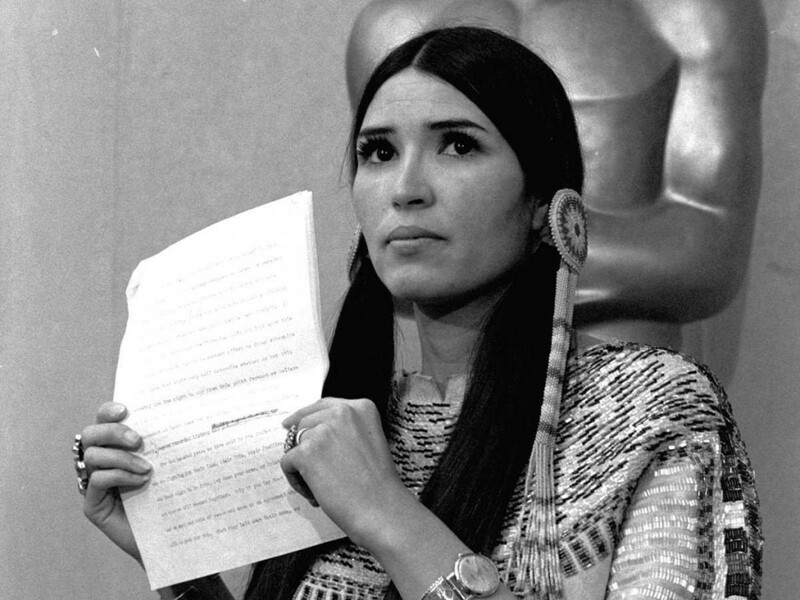 Click Here to see Sacheen Littlefeather’s web site. Click Here to go to the Mars Red Eden site. This entry was posted in Books, Celebrities, Hollywood People and tagged Academy Awards, African American, Hollywood, Marlon Brando, Native American, Oscar, racial issues, Red Eden, Sacheen Littlefeather. Bookmark the permalink.